Here’s what’s happening in the world of television for Friday, December 15 and Saturday, December 16. All times are Eastern. 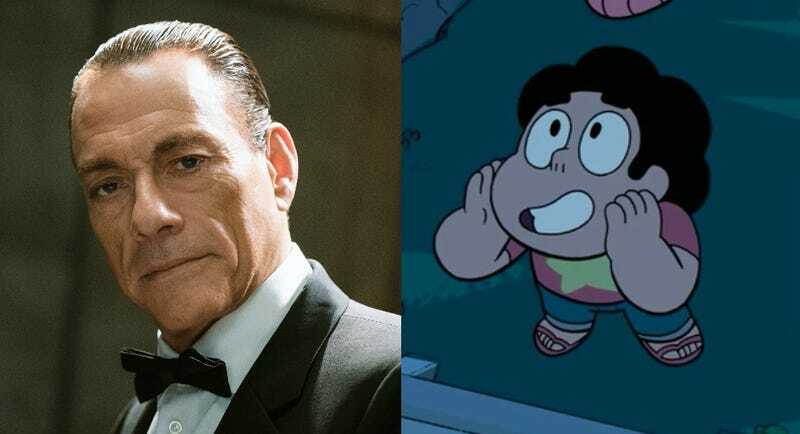 Steven Universe (Friday, Cartoon Network, 7:30 p.m.): This spring, Steven Universe kicked off its fifth season with the bold and heartbreaking miniseries Wanted. For resident Gem-ologist Eric Thurm, the arc ushered in a darker, more mature era for the show, which we’ll see play out in tonight’s double-header. “Dewey Wins” and “Gem-cation” find the Crystal Gems reunited on Earth, but that doesn’t mean they’re safe from harm. Jean-Claude Van Johnson (Amazon, Friday, 3:01 a.m.): In his action-hero heyday, Jean-Claude Van Damme was referred to as the “Muscles from Brussels” or “He of the death-and-pants-crotch-defying splits.” In his new Amazon series, Van Damme is no longer the high-kicking star of the Kickboxer series. Well, he is, but now he’s deploying all his chops and blows in the defense of our country. This bonkers meta-comedy, which co-stars Phylicia Rashad, debuts its complete first season today. Just be sure to stretch before streaming.